In the late 1960’s, California’s Bay Area suffered a rash of seemingly random murders, which to this day remain unsolved. The killer, who is credited with at least five separate murders, sent cryptic messages to local newspapers, taunting the area’s law enforcement agencies for not being able to capture him. Calling himself “The Zodiac,” and adopting a symbol with which he would address his letters, he continued to kill and threaten more murders until suddenly, the deaths and letters mysteriously stopped. Police officers investigated the case furiously, frustrated by the fact that the killer wore a mask and outfit, and by the droves of imposters who came forward to erroneously claim responsibility for the attacks. Nearly a half century later, the murders have not been solved, and the killer has not officially been identified. The police narrowed down a handful of potential suspects and other persons of interest, but much of the evidence, physical or otherwise that pointed toward any of them was circumstantial at best. However, while no one was ever arrested for the crimes, police in Vallejo, where the first kills took place, set their sights on a man named Arthur Leigh Allen. Even beyond Allen’s death from heart failure in 1992, he remains the prime suspect for the murders for the area’s law enforcement agencies, because of the sheer amount of evidence, circumstantial or not, that implicates him. The greatest number of individual pieces of evidence that implicate any of the suspects in the Zodiac case belong to Arthur Leigh Allen. With a combination of physical evidence, testimony from friends and family members, and statements made by Allen himself, it is no small wonder why Allen was always and still is the prime suspect in the eyes of the area’s police forces. According to the website ZodiacKiller.com, Allen received a Zodiac brand watch as a gift from his mother in 1969 that bore the very symbol with which the killer would later adorn his taunting letters to the police (“The Arthur Leigh Allen File”). Allen also owned a typewriter that happened to be the same make as the one used to create the letters sent to police by the Zodiac (Hughes). One seemingly damning piece of evidence against Allen comes from former friend and hunting partner Donald Cheney, who told police that while the two would go on hunting trips, Allen would engage in hypothetical musings about hunting people. According to Cheney, Allen would go on to state that he “could go to a lover’s lane area, and use a revolver or pistol with a flashlight attached for illumination and an aiming device, and [he would] walk up and shoot people.” Allen also allegedly told Cheney that the killings would be “without motive and difficult for the police to investigate”, and that he would sign letters to the police as “Zodiac”(Zodiac Killer Facts). Allen enlisted in the United States Navy in 1957, and footprints found at the scene of the Zodiac killer’s attack on a young couple at Lake Berryessa in 1969 were said to belong to a military-style “Wing Walker” boot. The prints found at the scene were determined to be the same size as the shoes that Allen wore, drawing further suspicion from police about his guilt (“Arthur Leigh Allen”). Despite the amount of evidence that put Arthur Leigh Allen in the crosshairs of the police investigation surrounding the Zodiac killings, Allen was by no means the only suspect. There were plenty of others, the best-known of which is arguably Earl Van Best. Van Best’s biological son, Gary Stewart penned the book The Most Dangerous Animal of All, outing his father as the Zodiac killer, after finding his father’s initials in cyphers the killer sent to the police (Karimi). However, that evidence was never deemed conclusive by the police, and Van Best died in 1984. Meanwhile, Allen lived a short walk away from the location of the first attack in Vallejo, had a history of inappropriate interest in young girls and was eventually arrested for child molestation. While Allen was in jail on that charge, and subsequently a resident of the Atascadero State Hospital, for a total of about three years, the Zodiac letters to police stopped. After he was released from the hospital in 1977, another Zodiac letter surfaced the next year, saying “I’m back with you” (“Arthur Leigh Allen”). After the Zodiac killer threatened in one of his letters to blow up a bus full of children, referencing ingredients and instructions necessary to make a bomb, police executed a search at Allen’s residence in 1991 and found ingredients and materials for doing just that. Allen further imprinted a target on his back during an interview with police in which he stated that his favorite story was “The Most Dangerous Game”, a short fictional piece about a mysterious man who lives on an island where he invites shipwrecked sailors into his home, gives them food, supplies, and a head start, and then sets out to hunt and kill them (“Arthur Leigh Allen”). While his predilection towards that story may be meaningless in and of itself, it certainly did not help to take the eyes off of him during the investigation at that time. 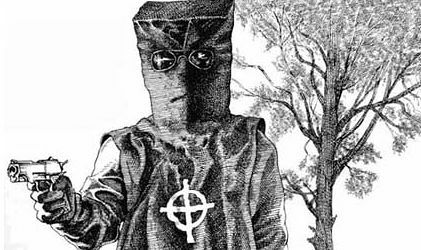 For a brief time in the late 1960’s, the Zodiac killer kept the Bay Area of California in the grip of fear, and being that he was never officially unmasked, the entire nation still expresses much interest in this unsolved killing spree. Because forensic science and the means for collecting such evidence were not as advanced as they are today, much of the evidence against any of the suspects was considered inadequate for prosecution. There comes a point, however, when even enough circumstantial evidence should warrant the ability to bring a suspect in any case to trial, to let a jury decide. That amount of circumstantial evidence existed against Arthur Leigh Allen in the Zodiac investigation, but he passed away before prosecutors could frame an official case against him. Detective George Bawart expressed his abject regret about that fact, relating that “The only reason I look in that direction and I am 95 percent sure it was him, is because so many coincidences point in his direction. What really bothers me about this case is that we were ready to charge Arthur Leigh Allen, with the idea in mind that it would be taken to trial so that 12 jurors could make that determination. But he died before we could do that” (“Arthur Leigh Allen”). Amateur sleuths the world over have both fingered him and dismissed him as the Zodiac killer, and the investigation still remains open and active. Of all the suspects that the police interrogated in relation to the Zodiac murders, Arthur Leigh Allen stands as the guiltiest, but since his death over two decades ago, he will never be brought to justice for his reign of terror. “Arthur Leigh Allen.” Zodiac Cyphers. Web. 6 November 2015. Hughes, Mark. “Former Police Officer Claims To Have Solved Mystery of the Zodiac Killer.” The Telegraph. 15 May 2012. Web. 6 November 2015. “The Arthur Leigh Allen File.” Zodiac Killer. Web. 6 November 2015. Zodiac Killer Facts. Web. 6 November 2015.